A fun, colorful scarf is undoubtedly one of the most important accessories in everyone’s wardrobe. It’s a great way to dress up a simple outfit and give an extra touch to any style. Sometimes, however, scarves are not only a beautiful fashion attribute. When combined with art, a simple scarf transforms into a special way of communication with the world. Feelings, culture, values and even history can be traced in prints and colors of the scarves. Last week in Yerevan (Armenia) I had a very interesting talk with the founder of “Artuyt”, Arevik Arakelyan. Founded in 2016, “Artuyt” aims to promote the exquisite artworks of Armenian contemporary artists within the country and beyond. Colorful scarves produced by “Artuyt” are the exact replicas of their artworks. Each scarf is a unique masterpiece that guides the wearer into a magical world of Armenian art. A couple of weeks ago in Amsterdam I had an interesting chat with two talented ladies who are specialized in make-up & hair (MUAH) styling. Due to the globalization of fashion nowadays we have the same selection of brands and stores almost everywhere we travel. However, the same pair of jeans is styled differently in different countries. Intelligent and interactive clothing, high-tech fabrics, clothes with fully integrated computers…It is hard to believe that a time will come where technologically sophisticated garments will become part of our everyday wear. However, a lot of research and work on technology in fashion has already been done and still continues in this field. 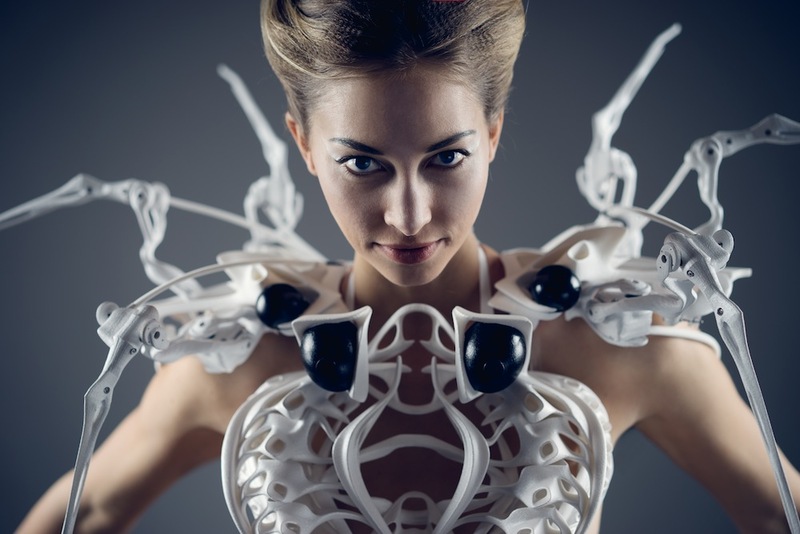 Electronic couturier and innovator Anouk Wipprecht is one of the pioneers in the field of technological couture. Her designs move, breath and react to the environment around them.